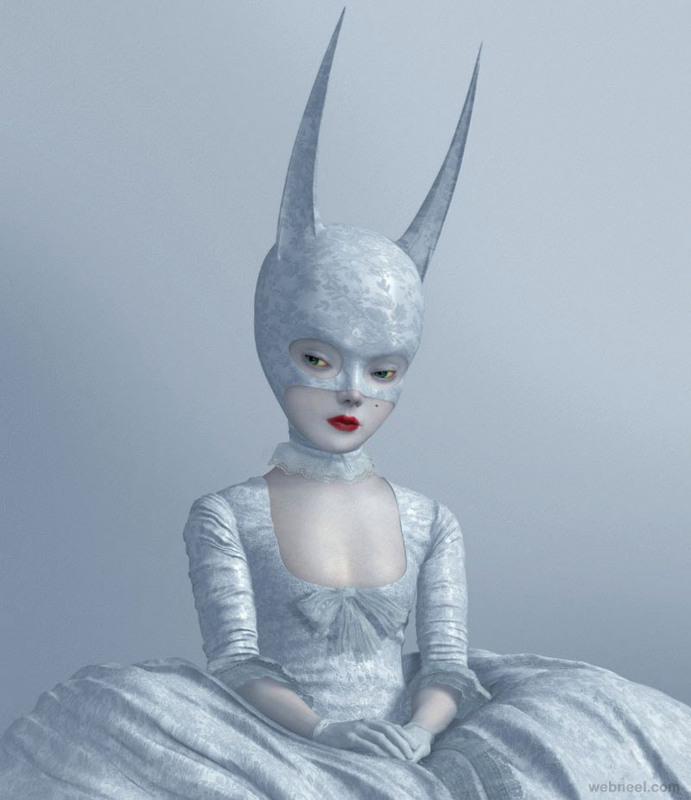 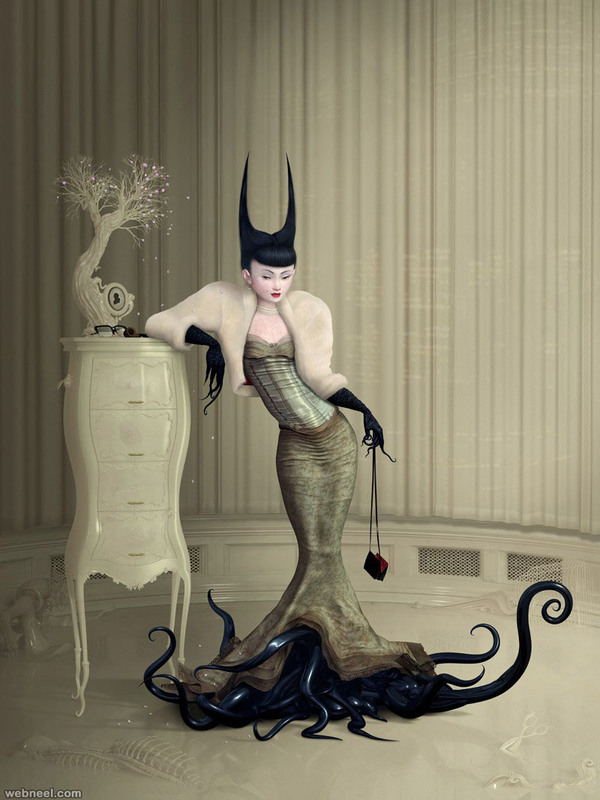 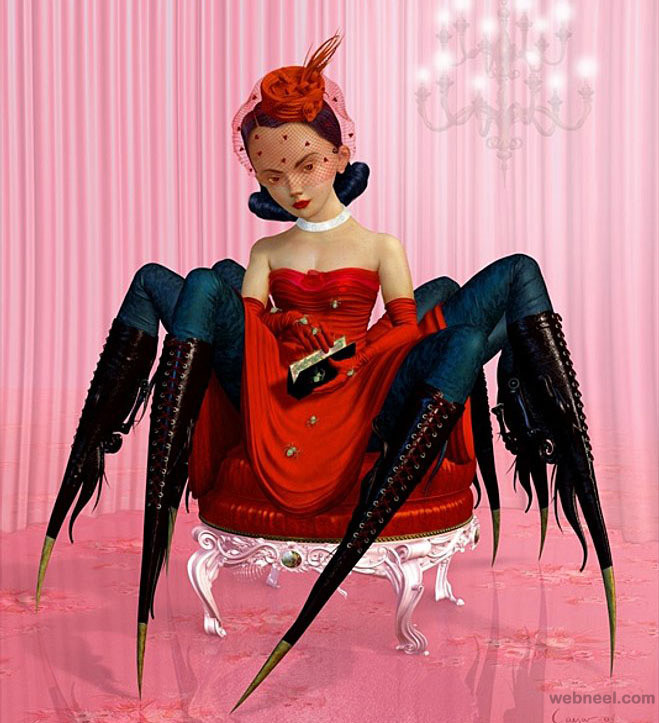 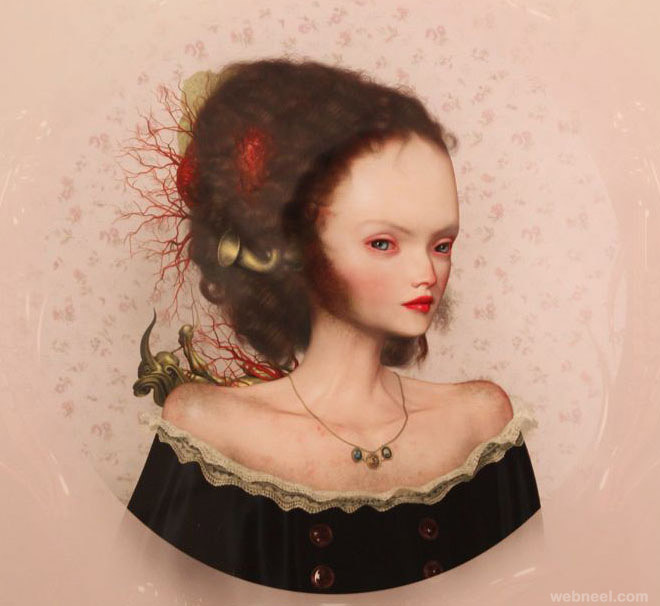 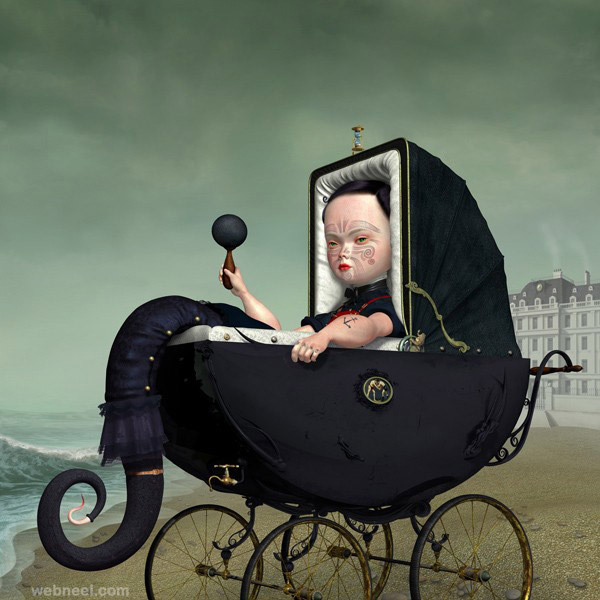 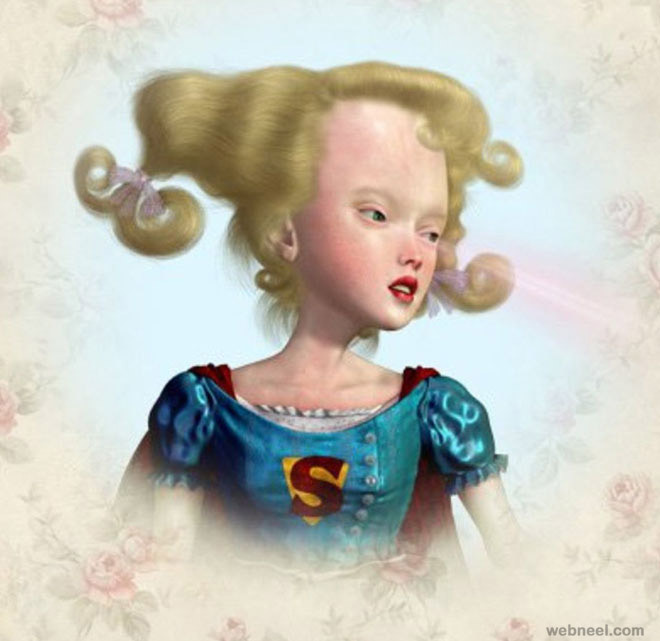 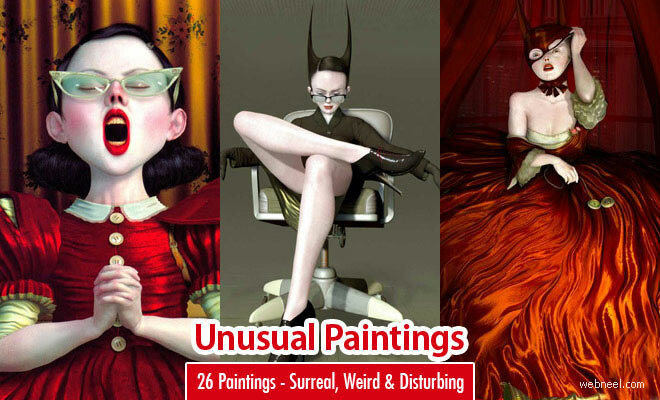 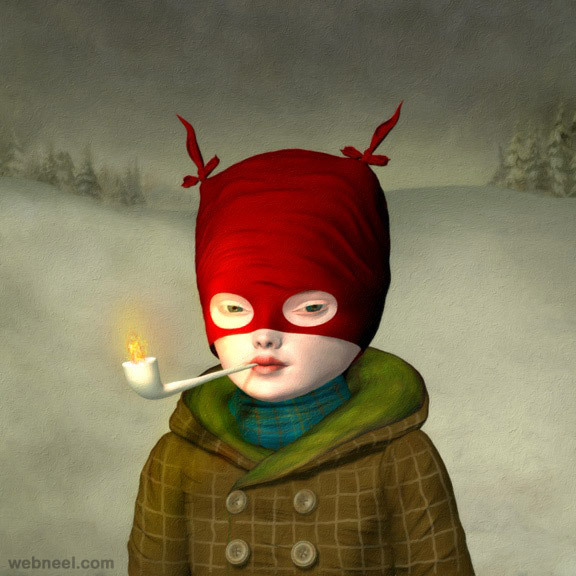 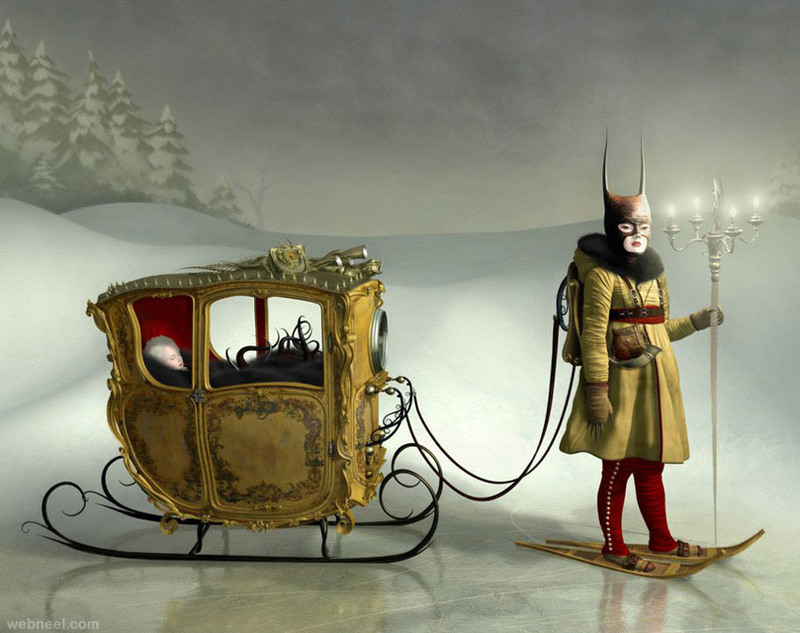 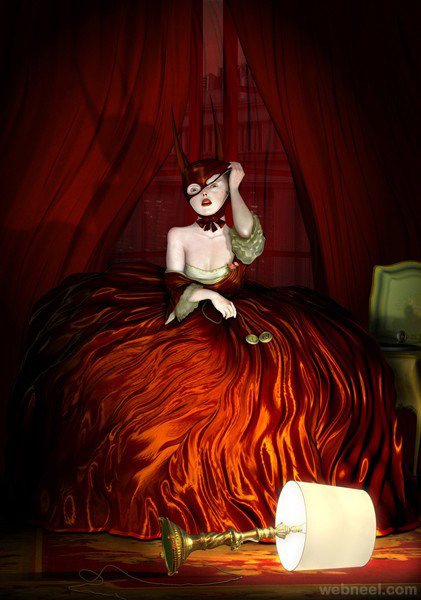 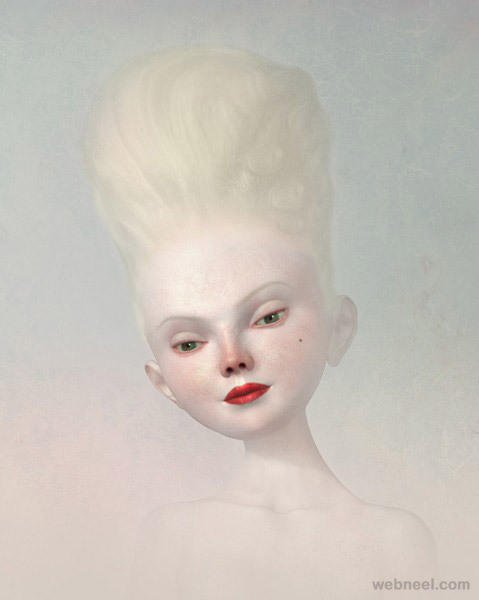 Ray Caesar, who suffers from Dissociative Identity Disorder, uses his art as an outlet to express trauma. 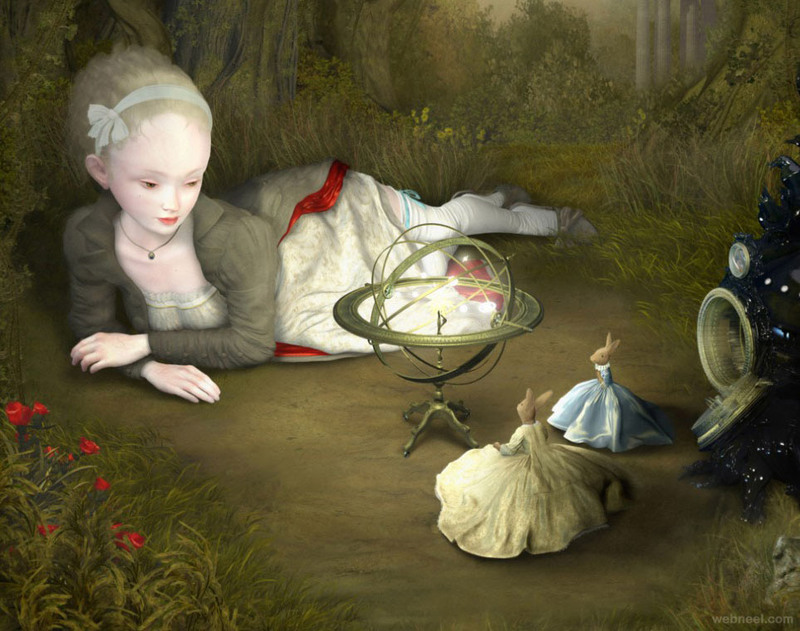 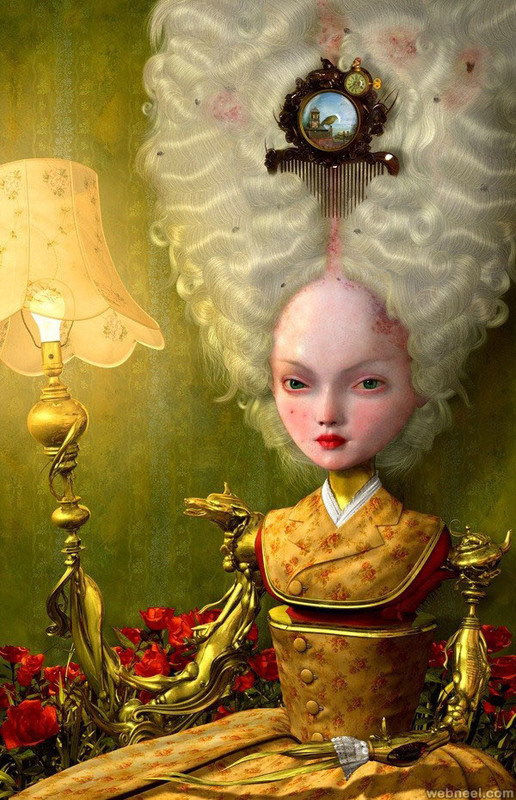 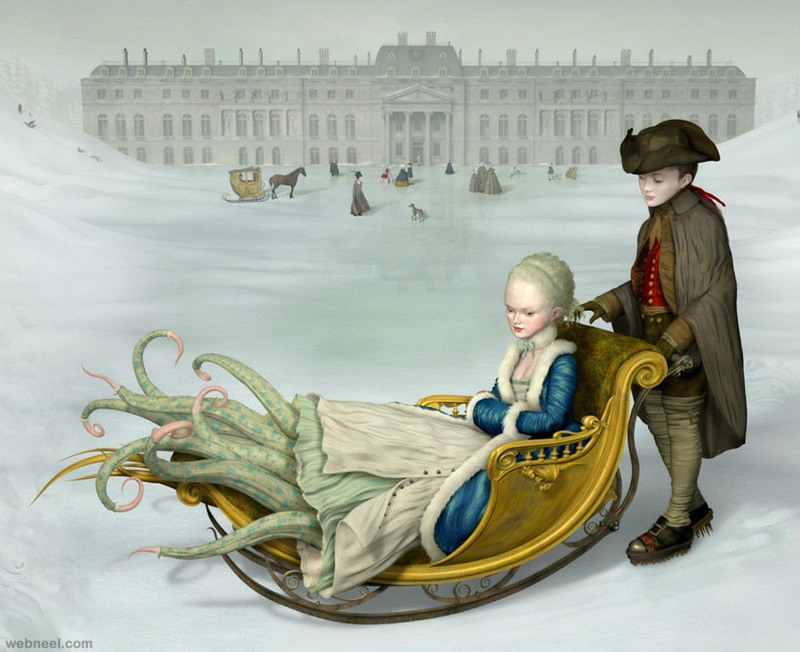 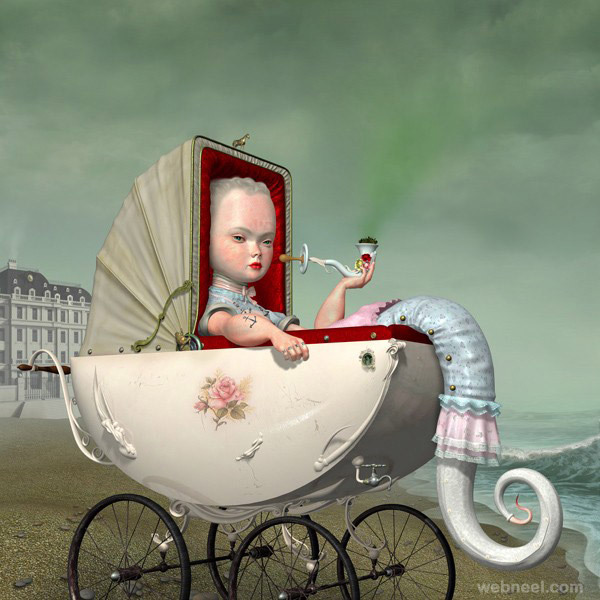 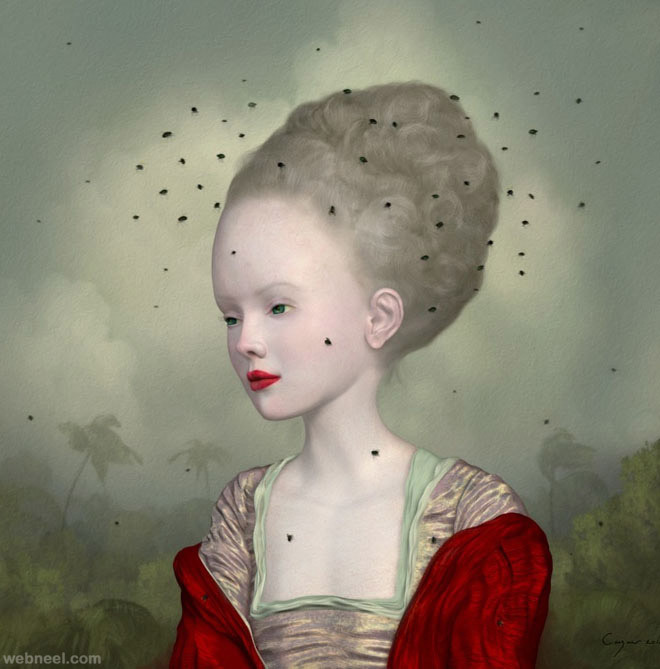 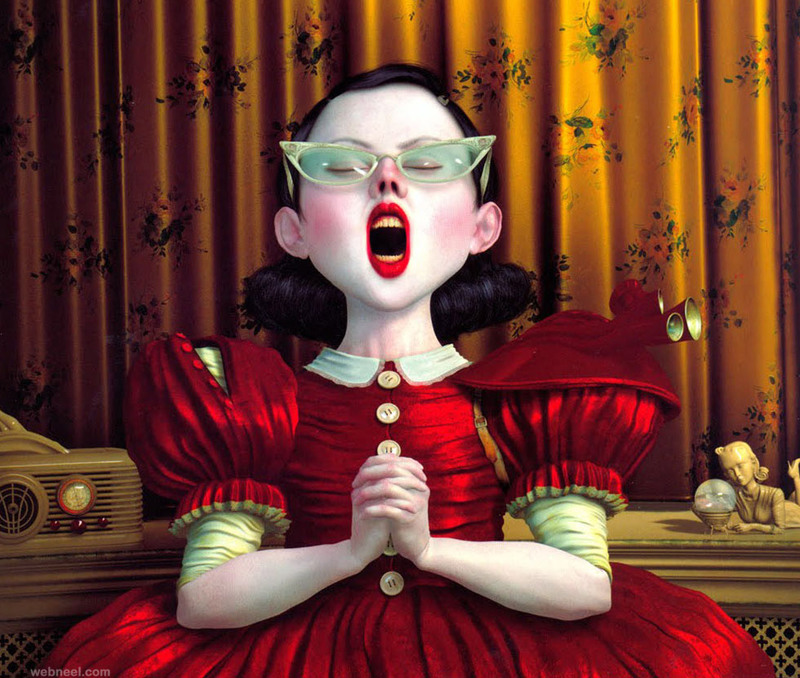 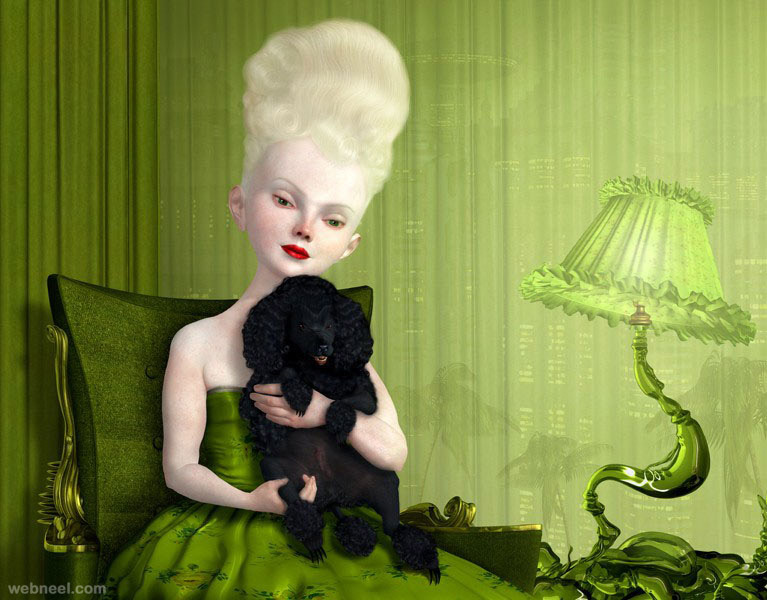 Ray Caesar was born in London, England in 1958. 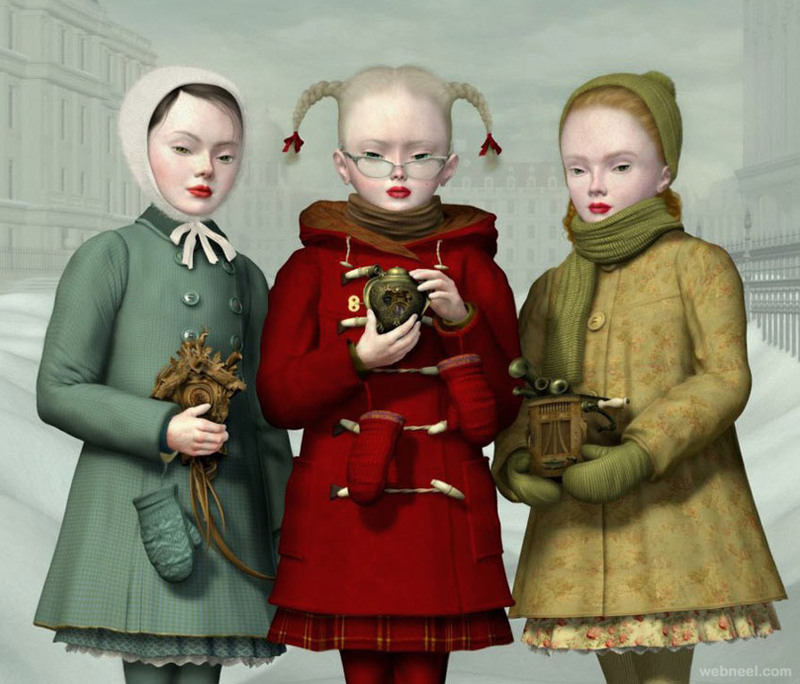 He describes his childhood art as “atypical and aberrant” as it was unlike the bright pop art of the 60s and 70s. 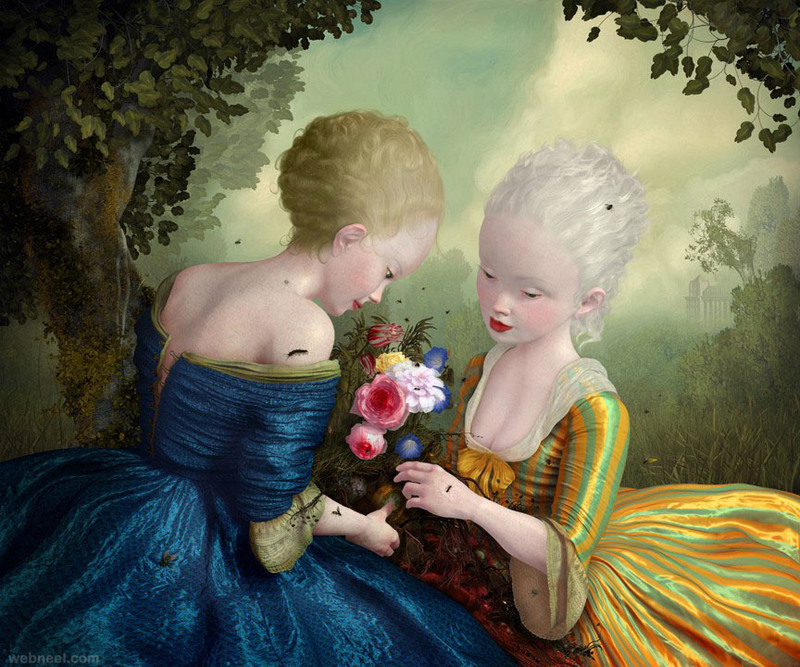 Drawing inspiration from Classical, Baroque and Romantic era paintings, Caesar creates fantasy scenes that include innocent young girls, sensual young women or ageless divas. 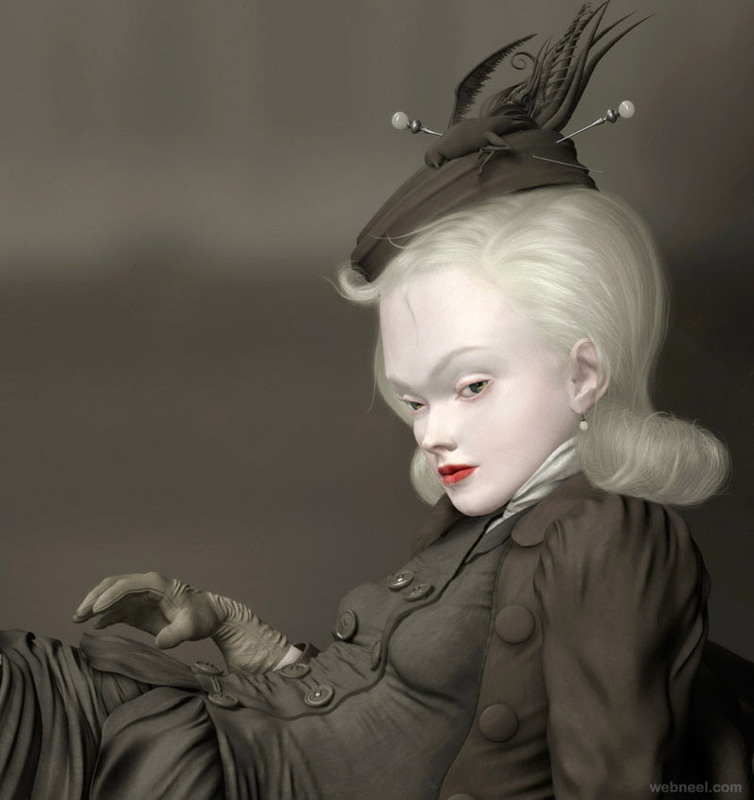 Some of these feminine characters seem out of place in their antiquated world, posing in a manner that would have been very unseemly a century ago. 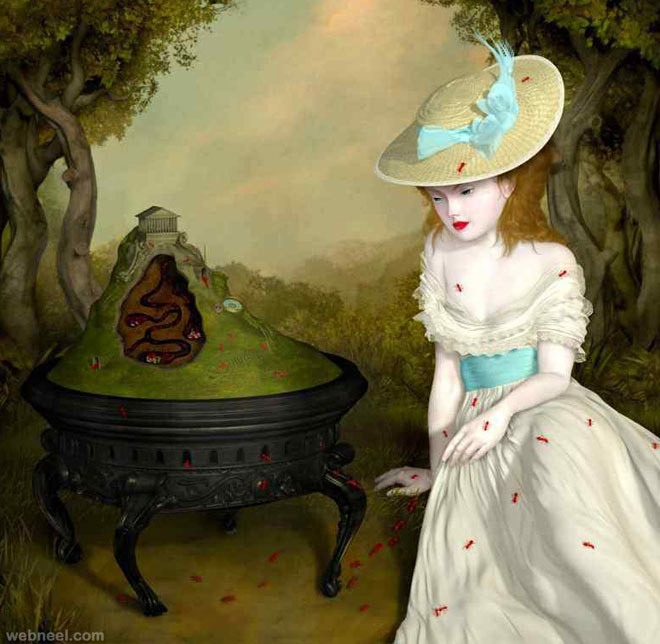 I hope you will like these surreal paintings.